Oxfam released a report last November, claiming that Ireland is a tax haven based on EU criteria. “Blacklist or Whitewash” is the name of this document released by Oxfam, only a few weeks before Ecofin publication of “tax haven blacklisted countries”, also including Ireland. This Oxfam report is a good start to understand Irish situation. The aim of this Oxfam’s project was to analyse, through European criteria, 92 countries and 28 European member states and take out data from this analysis. As an example, the report mentions royalties (such as the ones concerning intellectual property), sent out of Ireland in 2015 and 2016, which were representing 26 per cent of the State’s gross domestic product. After these discoveries, the question of Ireland being a tax haven falls into the public domain as it concerns all Irish citizens. Recently, the case of Apple put all the lights on Ireland. Indeed, the European Union recently decided to sue Ireland because of 13 billion euros which weren’t claimed by the Irish government. Then the European Commission pushed Apple to pay back those 13 billion euros tax to Dublin, considering that the multinational would have benefited from far too important tax advantages. This case as well as other similar cases, like the fact that many personalities in Ireland were accused in the Paradise Papers (U2), or more recently the Panama Papers (bankers, solicitors, builders, etc..) embed the existence of a Tax Haven in Ireland. Most of the time those websites will propose you a package which is “secured” and can cost between 500€ to 10,000€, depending on the size of the offshore company you want to set up. This is an evidence available on google, of how Ireland is becoming a tax haven. First, Ireland as a member of the European Union, obey the principles of the VAT, which is a common tax adopted by every country entering the European Union. Although the European VAT is rigorous, these customs are supposed to exist in order to preserve the integrity of the trade borders. The European tax policies are created to ensure that those industries based in the territories of the European member states are in a sense favoured. Since the 1950’s, Irish corporation tax policy has been pushing the attractiveness to its maximum, to bring corporate investment, primarily to job creation. In recent years, Ireland has aligned its corporation tax system with all the other member states, except for the rate. Does that make of Ireland a real tax haven? Or is it just an illusion, considering that the European Union itself, could be a tax haven as well? According to James Charles Stewart, interviewed in the New York Times on the 13th October 2015 about this subject. “This is complex, and multinational love complexity”, he said, “because it allows them to develop tax avoidance strategies. The last thing they want is simplicity.” Indeed, transfer mis-pricing established on inflated royalty payment arrangement linked to intellectual property is straightforward. Moreover, many multinationals with a research and development based on tax strategy, in a tax haven like Ireland, can take advantage of transfer pricing and royalty payment arrangements in order to reduce their overall tax liability. These kinds of behaviour are damaging the process of Ireland to improve its tax policy. Another setting which makes a country a tax haven is the tax avoidance. Indeed, this process is used in many countries to avoid paying tax or reduce the amount of tax a corporate or individual must pay. It’s basically for Ireland, the recent case of Apple, as explained briefly upstream. The main difference here is that Ireland doesn’t want to punish Apple for losing the advantage of having their headquarters in Dublin. Of course, in most of the western countries, tax avoidance is regulated and analysed by dedicated state-controlled commissions, lawyers and counsellors, in order to reduce those tax avoidances. Whereas tax avoidance keeps emancipating, the Double Irish is a new notion, closer to a tax strategy. This strategy is used by multinational corporations to lower their tax liability. 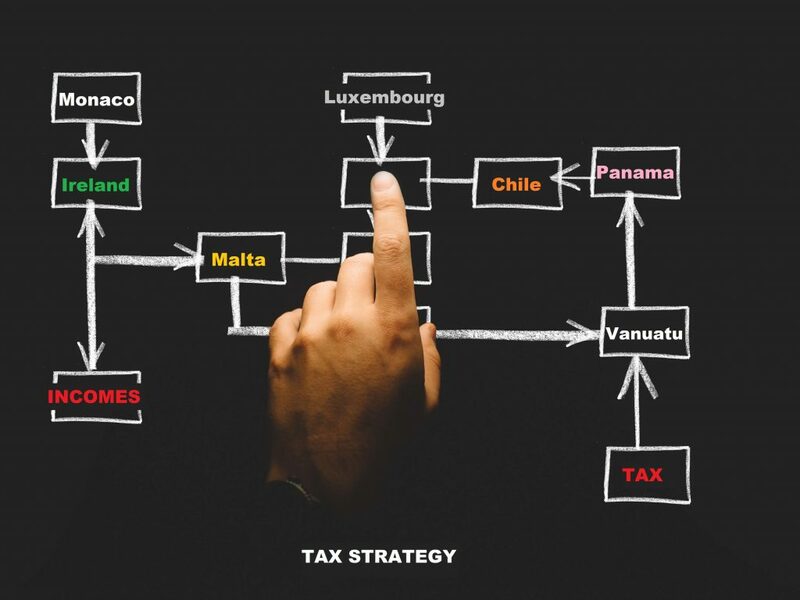 In other words, the strategy uses payments between related companies in big corporations (most of the time), to transfer incomes from high-tax countries to lowers or no tax jurisdiction, in order to decrease their amount of tax. Convincing seaward organisations and trusts to uncover their useful possession would be another key change, as it would implement measures to constrain organisations and people to announce openly their incomes, profits and tax payments on a nation by nation basis. It is known, and it was revealed in the record 3 years ago when Ireland suddenly reviewed its growth for 2015, from 7.8% (a figure which would have already could make turn pale China with jealousy) to 26%. A leap which allowed Ireland to get its ratio of national debt decrease from 104.5% to 76.9% in the space of only one year. A bound especially which is neither in jobs, nor in consumption. Employment still didn’t find its former summits crisis. And the weight of consumption does not cease diminishing proportionally to the Gross Domestic Product, which testifies the decorrelation between the GDP and the increase of the incomes of the persons which domicile and indeed work are based Ireland. And for good reason, this revision is an adjustment which includes more completely the big groups, domiciled in Ireland turnover, which indeed do not produce in the country. It is the result of fusion said about “tax inversion” or “tax avoidance”, where firms are domiciled in Ireland to benefit from favourable tax rates of the country, or even doubtful assemblages on VAT, while supporting the basics of their operations and of their direction in their jurisdiction of origin. Let’s know deliver an approximation to conclude this investigation, with the merit to give orders of sizes certainly bearish, but sensible. Let’s line the GDP up, per head of Ireland and Luxembourg (considered as tax haven countries), with the one of Germany for example. If we measure, what would be their GDP if their productive effectiveness and the mobilisation of the working force was like those of economic leaders in Europe? Then the Irish GDP would not be of 276 thousand million euros in 2016, but 185 thousand million euros. For Luxembourg, it would not be of 53 thousand million euros, but 25 thousand million euros. As far as Ireland is concerned, it makes 91 thousand million euros tax matters, not indeed produced on the territory. And still, to index the effectiveness of the Irish population to that of Germany seems very excessive. If we take France as reference, it would give 120 thousand million euros. All this material doesn’t avoid the tax completely in the European countries. But it shows however that it is well about a very disturbing phenomenon, as Ireland is a tax haven. Love and trust turned me a street-beggar and homeless.